This has worked well for me to balance out my hormones during perimenopause. When I do not take it I get my dizziness back again. The headline says it all. 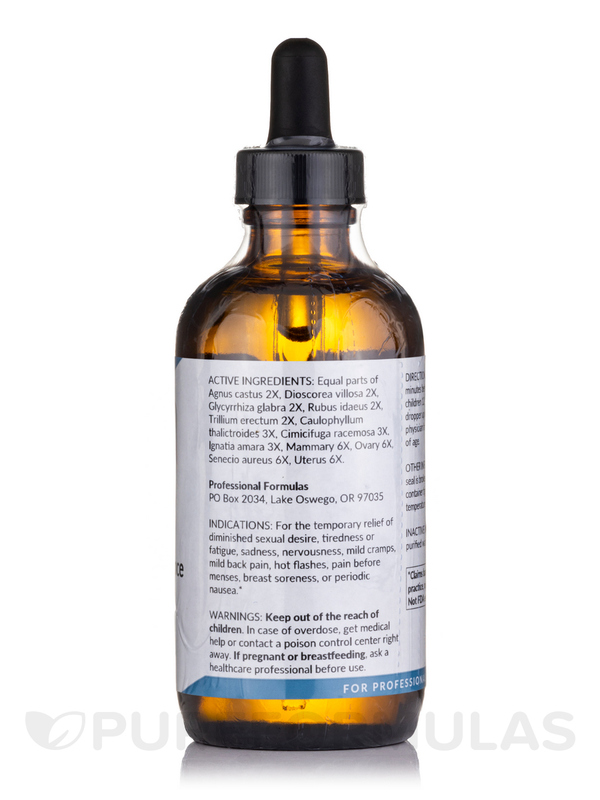 I use Female Balance Liquescence to supplement my medication if under stress and my pressure is a little high. Great product. 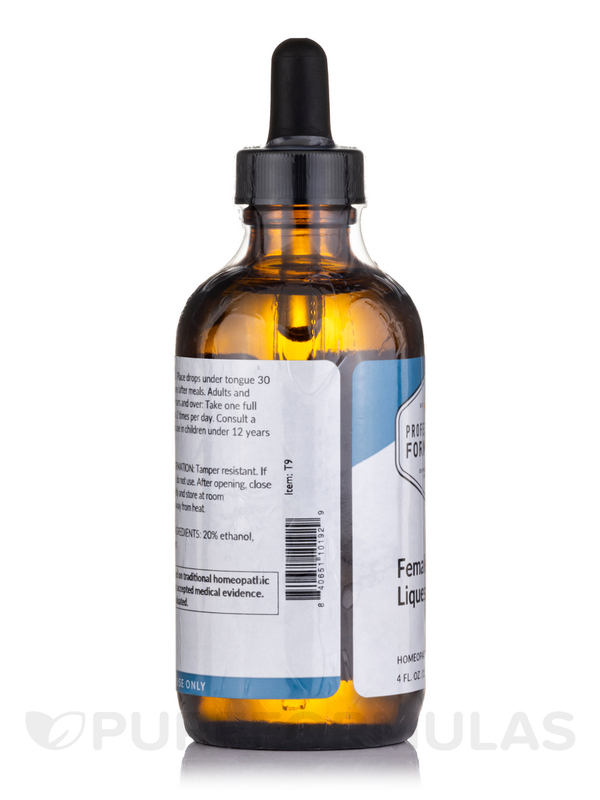 I was having problems with my period and after taking drops of Female Balance Liquscence by Professional Formulas it came one week after starting the supplement. Does not taste bad. 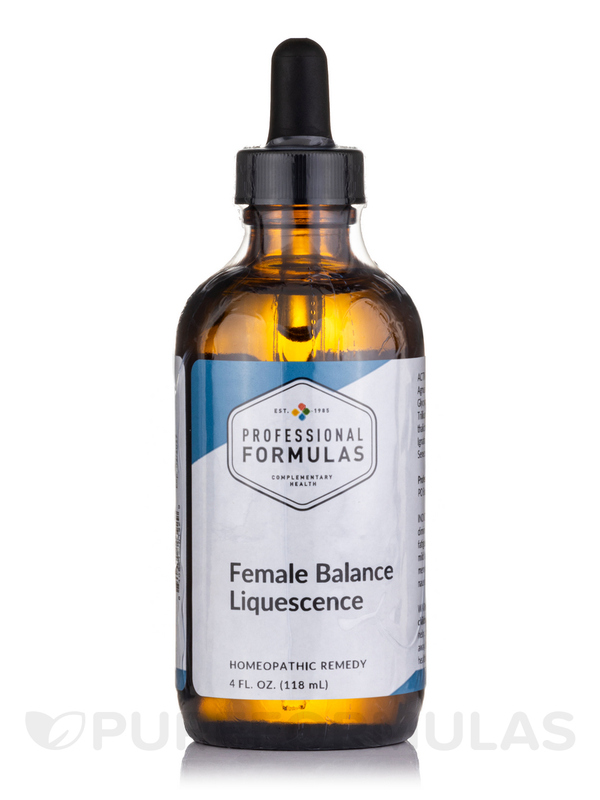 Female Balance Liquescence is manufactured by Professional Formulas to help provide the necessary nutrients for balancing the female endocrine system. Female Balance Liquescence is a homeopathic liquescence that provides the necessary help for keeping and maintaining the balance of the female endocrine system. The endocrine system is the body’s glands responsible for overall health and well-being that secrete hormones that control the proper functioning of numerous organs. Problems in the endocrine system could lead to a variety of conditions‚ but taking Endocrine Complex may provide the necessary support for the proper functioning of the endocrine system. 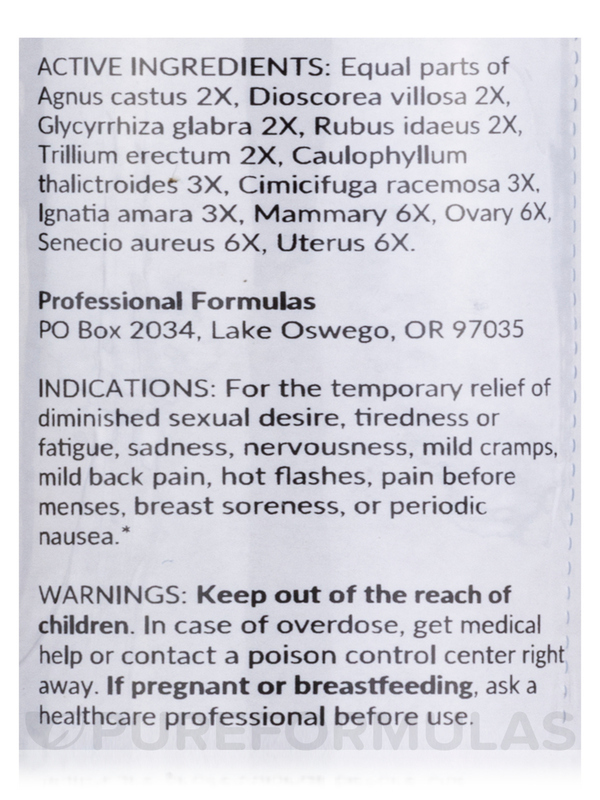 Active Ingredients: Equal parts of Agnus castus 2X‚ Dioscorea villosa 2X‚ Glycyrrhiza glabra 2X‚ Liatris spicata 2X‚ Rubus idaeus 2X‚ Trillium erectum 12X‚ Caulophyllum thalictroides 3X‚ Ignatia amara 3X‚ Mammary 6X‚ Ovary 6X‚ Uterus 6X. 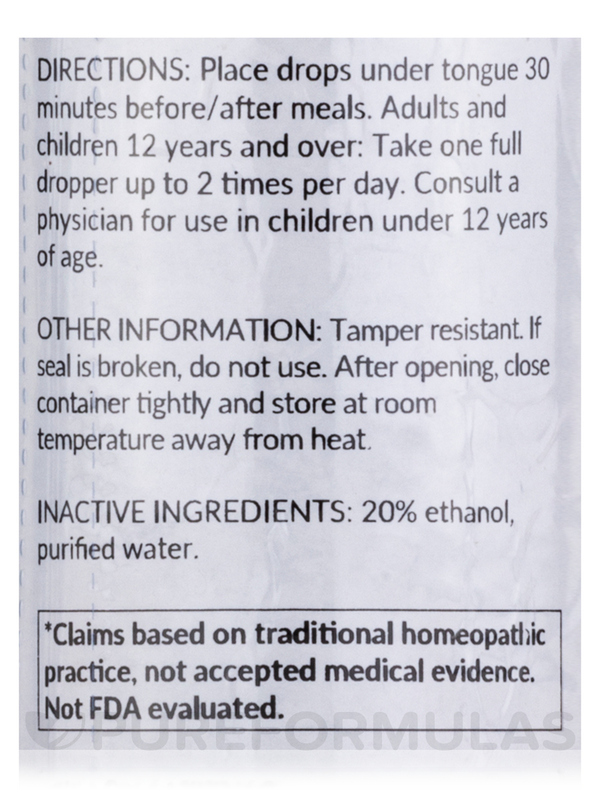 Inactive Ingredients: 20% ethanol‚ purified water. Place drops under tongue 30 minutes before/after meals. 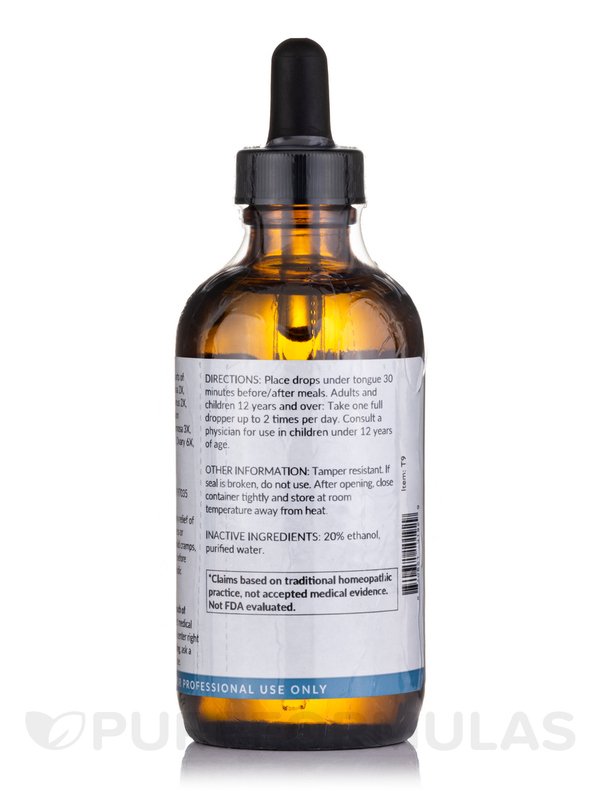 Adults and children 12 years and over: Take one full dropper up to 2 times per day. Consult a physician for use in children under 12 years of age. In case of overdose‚ get medical help or contact a poison control center right away. If pregnant or breastfeeding‚ ask a healthcare professional before use. Tamper resistant. If seal is broken‚ do not use. After opening‚ close container rightly and store at room temperature away from heat. Was searching for a more natural product to deal with hot flashes. This works well. 90% less hot flashes. I noticed difference right away if l don't take my daily dose. Have to count drops, don't have measurements in dropper. Great product. Helps with moods sleep and hot flashes.